Before the end of the school year, Solvay Middle School student Olivia Ouderkirk met her savings account challenge for the year. Like the two students from Solvay Elementary School, Olivia was able to turn her principal into a human ice cream sundae. 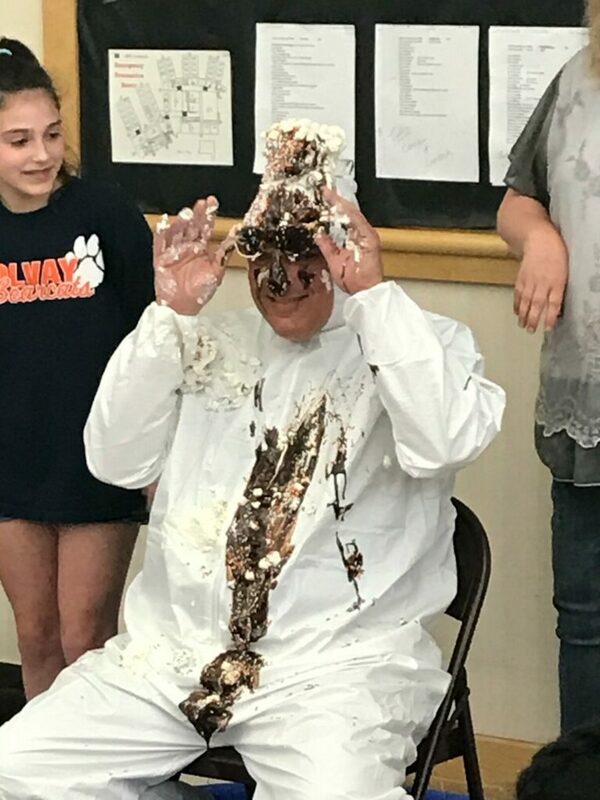 Mr. Gottlieb was given the treat of being turned into an ice cream sundae, with SMS students cheering him on. The sundae consisted of ice cream, chocolate syrup, whipped cream, marshmallows, and, of course, sprinkles. Great job to Olivia on meeting her savings challenge – and turning Mr. Gottlieb into a human ice cream sundae.